Rebecca (Beccy) Aldrich is an occupational scientist whose work explores sociopolitical influences on everyday life. She received her Bachelor of Science and Master of Arts degrees in occupational therapy from the University of Southern California and her Doctor of Philosophy in occupational science from the University of North Carolina at Chapel Hill. Prior to her 2018 appointment to the USC Chan Division of Occupational Science and Occupational Therapy, she was an associate professor in the Department of Occupational Science and Occupational Therapy at Saint Louis University. Dr. Aldrich’s research on the “wicked problem” of long-term unemployment has illuminated how resource seeking shapes everyday life, contributing not only to empirical literatures but also to critiques of assumptions about occupation. Dr. Aldrich has established a number of global partnerships to foster students’ understanding of occupational-related concepts — particularly those related to social and occupational justice — and this work has earned awards for innovative teaching and the scholarship of teaching and learning. 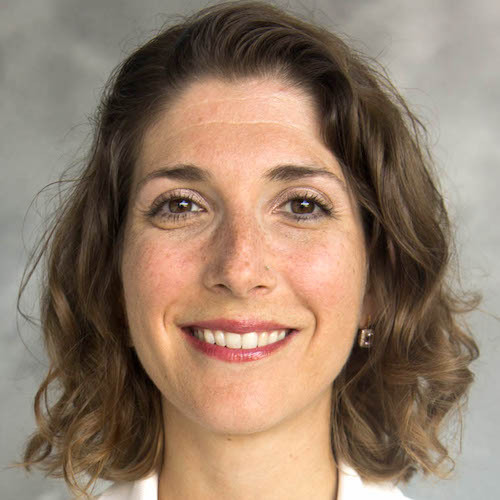 Dr. Aldrich has published extensively in peer-reviewed occupational science and occupational therapy journals and textbooks, earning awards for both her writing and for her mentoring of other faculty members on their research and writing processes. Unemployment, occupational in/justice, Scholarship of Teaching and Learning, Deweyan philosophy, critical perspectives on occupation. Background: Solutions for the problem of long-term unemployment are increasingly shaped by neoliberally-informed logics of activation and austerity. Because the implications of these governing frameworks for everyday life are not well understood, this pilot study applied a critical occupational science perspective to understand how long-term unemployment is negotiated within contemporary North American socio-political contexts. This perspective highlights the implications of policy and employment service re-configurations for the range of activities that constitute everyday life. Methods: Using a collaborative ethnographic community-engaged research approach, we recruited eight people in Canada and the United States who self-identified as experiencing long-term unemployment. We analyzed interviews and observation notes concerning four participants in each context using open coding, critical discourse analysis, and situational analysis. Results: This pilot study revealed a key contradiction in participants’ lives: being “activated, but stuck”. This contradiction resulted from the tension between individualizing, homogenizing frames of unemployment and complex, socio-politically shaped lived experiences. Analysis of this tension revealed how participants saw themselves “doing all the right things” to become re-employed, yet still remained stuck across occupational arenas. Conclusion: This pilot study illustrates the importance of understanding how socio-political solutions to long-term unemployment impact daily life and occupational engagement beyond the realm of job seeking and job acquisition. Concurrent with the development of a transactional perspective, the notion of “the situation” has increasingly been taken up in occupational science scholarship. Accordingly, research methodologies and approaches that capture the multifaceted elements of situations need to be explored. Situational analysis, pioneered by sociologist and grounded theorist Adele Clarke, shows promise for facilitating inquiries into situations of occupational engagement. In this article we review the situational analysis approach and provide an example of its application to research on the situation of long-term unemployment. In this application, situational mapping illuminated the contradiction of simultaneously being “activated” and “stuck”. Situational analysis helped unpack how this contradiction was shaped within North American contexts. Based on this example and others outside the occupational science literature, we discuss how situational analysis can be a useful tool for fostering critical, socially-responsive, and community-engaged occupational science research. Introduction: Globalisation heightens the need for diverse learning experiences regarding human occupation. This article describes a two-phase redesign of an undergraduate occupational science course that generated community outings in the United States (U.S.) and synchronous online interactions between U.S. and Swedish students. Via experiential learning opportunities, the course redesign aimed to enhance students' understanding of occupational science and occupational therapy concepts as well as how such concepts are taken up across global contexts. Method: 96 undergraduate U.S. occupational science students participated in community outings, and 52 of those students also participated in synchronous online interactions with 35 undergraduate Swedish occupational therapy student peers. U.S. students provided feedback about the community outings and synchronous online interactions via written course evaluations and reflections. Results: U.S. students perceived community outings and synchronous online interactions as positive learning opportunities but also suggested possible improvements which have been implemented in subsequent iterations of the course. Conclusions: When accompanied by structured reflective opportunities, local and global experiential learning can positively impact students. It is important to consider how experiential learning fits within course objectives, as well as how technology enables or inhibits experiential learning across local and global contexts. In this paper, we highlight community-engaged research (CER) as an anchor for occupational science within the shifting American academy. Specific changes in the relationship of research funding, university priorities, and the discipline's aims provide a rich context for discussion. We define CER along a continuum and note its relation to current research approaches and funding priorities. We discuss the benefits and barriers of CER, focusing particularly on forces that drive and legitimize academic disciplines and their research. We suggest that recent developments in American higher education create a space for occupational science to produce legitimate, important, and interdisciplinary CER. Taking a cue from anthropology, we consider the ways in which occupational science may be “in use” within and outside academe via CER and chart a possible future path for the American arm of the discipline. We culminate by posing questions to continue this important discussion. Background: Scrutiny regarding the typological categorization of occupation (e.g., occupation as work, rest, or leisure) has prompted interest in experiential categories as a less exclusionary alternative. Empirical research can extend the dialogue about categorization by demonstrating how people in particular situations apply and generate occupational categories. Purpose: This article explores how adults without work utilized typological and experiential categorizations when discussing their occupations. Method: Data were generated via a secondary analysis of interview transcripts from three ethnographic case studies. Findings: Study consultants gravitated toward experiential rather than typological categorizations, emphasizing the social, chosen, purposeful, and temporal qualities of their occupational engagement. Implications: Occupational therapy practitioners and researchers must explicitly state how and why they categorize occupations with clients and research participants. Whereas typological categories can be used to initiate discussions about occupation, open questions paired with consultant-generated experiential categories may better capture occupational engagement and reveal potential injustices in situations like unemployment. To more fully understand Dewey’s philosophy of action as it pertains to occupation we explore his conceptualizations of embodiment and growth. For Dewey, embodiment refers to a process of inhabiting an inherently social world. We discuss the process of embodying as it fits within Dewey’s view of people as “live creatures.” This process occurs within an uncertain and complex world, and we examine how embodiment works to develop habits and the ability of people to coordinate with a changing world. Coordination necessitates inquiry into problematic situations, and inquiry is a source of growth for individuals and communities. We then discuss the Deweyan concept of growth — the continual emergence and actualization of possibilities — as it connects to embodiment and transaction. Combined with Dewey’s ideas of freedom and equality, embodiment and growth provide the ability to understand occupation in a much richer way. Using Dewey’s early works on education, we synthesize his conceptualization of occupation with his concepts of embodiment and growth. We suggest that occupations be viewed as ways of embodying shared experience, enhancing growth, and promoting personal and communal well-being across the life course. Studying occupation from a transactional perspective calls for a focus on the relationships that constitute the situation of occupation. In this chapter we discuss the fit of ethnographic processes and the transactional perspective. We propose that the ethnographic study of occupation reveals its transactional nature by exposing influences, relationships, and occupations that make up a study situation. We argue that ethnographers and participants play an active role in data collection and that their transactions generate a co-created ethnographic product grounded in the relationship. Moreover, the scope of ethnography goes beyond the interpersonal elements of a relational situation to examine other factors such as place, objects, environmental features, traditions, history, politics, and economics. The relationships joining these elements, occupations, and humans are significant components of a study situation addressed by ethnographies. The chapter is grounded in our research experiences on occupation with ethnographic methods. Examples from our research illustrate the transactional nature of studying occupation through ethnography. Objective: This paper presents daily routine as a justice-related concern for unemployed people, based on an ethnographic study of discouraged workers. Participants: Four women and one man who wanted to work but had ceased searching for jobs, and 25 community members whose jobs served the unemployed community, participated in the study. Methods: Ethnographic methodology — including participant observation, semi-structured and unstructured interviews, and document reviews — and the Occupational Questionnaire were used to gather data for 10 months in a rural North Carolina town. Data analysis included open and focused coding via the Atlas.ti software as well as participant review of findings and writings. Results: Routines need to be seen as negotiated, resource-driven products of experience rather than automatic structures for daily living. Scholars and practitioners must acknowledge that the presence or absence of routine not only relates to resource use but also influences unemployed people's occupational possibilities. Conclusions: To address unjust expectations about unemployed people's occupational possibilities, scholars must examine the uncertain, negotiated nature of daily routine and its function as a foundation for occupational engagement. Thus, it may be helpful to view routine as both a prerequisite of occupation and a way that existing occupations are organized. This opinion piece aims to further the discussion of violence that Twinley and Addidle (2012) and Morris (2012) have initiated. Using occupational therapy, occupational science and criminological literature, it is argued that violence itself is not an occupation but, rather, an instrument of certain occupations, such as crime. Investigation of the situations in which violent occupations become ‘occupational possibilities’ is advocated, with the suggestion that practitioners and scholars must direct their attention to both perpetrators and victims of violent occupations. It is further argued that a better understanding of violent occupations will more adequately frame occupational repertoires in disadvantaged communities. Discouraged workers, who want to work but have given up looking for employment, form a socially marginalized group whose occupations and experiences remain poorly researched. As such, discouraged workers and their situations offer new avenues for inquiry about occupation, well-being, justice, and the relationships between them. Yet discouraged workers' peripheral social standing both justifies a need for research and complicates its execution. This article describes how experiences in the field reframed an ethnographic study of discouraged workers in rural North Carolina. The authors (the researcher and one discouraged worker) suggest that the second author's disappearance fostered collaborative opportunities and understandings that were initially unavailable to the study, and argue that the research situation itself began to mirror the uncertainty inherent in discouraged workers' situation. The insights derived from the phenomenon of disappearance provide valuable information for planning, executing, and evaluating future occupational science research on marginalized populations like discouraged workers. The process of transitioning into, and living in, a retirement community can be usefully examined with the concept of ‘therapeutic landscapes.’ While underutilized in anthropology and gerontology, the concept offers a combination of geographical and cultural views on the place and well-being relationship. The inclusion of an occupational science perspective, wherein occupations (or everyday activities of meaning) are seen as a crucial part of the person-place relationship, should enhance the therapeutic landscape perspective of older persons and their retirement communities. We present a case study analysis that attempts to combine these perspectives and examine the role of occupation in the lives of older people who moved to a Continuing Care Retirement Community (CCRC). 116 movers completed pre- and post-move questionnaires about their levels of engagement in 20 activities. Frequency distributions, paired t-tests, and logistic regression analyses performed on the data indicate that while overall levels of activity did not change from pre- to post-move, patterns of engagement did change in the course of the move to the CCRC. Some social and cultural activities (e.g., parties, concerts, movies, meetings) increased in frequency, and some maintenance chores (e.g., grocery shopping, housekeeping) and communication (email) decreased in frequency. Moreover, total activity engagement after the move was associated with residential satisfaction in the CCRC. Even with their limitations, the data and analytical findings suggest that occupations are an important part of the CCRC therapeutic landscape process. Occupational scientists have argued that occupation implies action, but they have not produced sufficient analyses of action theories as potential bases for understanding occupation. We describe this situation and the corresponding need to theorize action as a necessary step for more carefully and powerfully conceptualizing occupation. To begin addressing the problem and need, we provide an analysis of two theorists, John Dewey and Pierre Bourdieu, whose writings about action may be applied to deepen understandings of occupation. Our analysis focuses on three dimensions of action common to both scholars’ theories — habit, context, and creativity. In comparing and contrasting the theories, we find them largely in agreement but also complementary. Through a discussion of the theories via these dimensions, we extend and deepen the transactional view of occupation. In addition, we offer a conceptualization of occupation consistent with the two theorists’ works. Over the past decade, the notion of complexity has assumed increasing importance in conceptions of occupational engagement. Several scholars in occupational science and occupational therapy have employed theories of complexity (including chaos theory, dynamic systems theory, and complexity theory) for various ends; however, few have analyzed the continued explanatory utility of these theories vis‐à‐vis occupational constructs. This paper offers one such analysis, and further posits the superiority of Dewey's theory of transactionalism over the systems‐based theories of complexity that currently inform the discipline and profession. Although complexity theory and transactionalism address many similar concepts, their respective ontologies generate notably distinct implications for their application in scholarship on occupation. Upon review, the problems inherent in behavioural applications of complexity theory appear to unnecessarily limit the future theoretical development of occupational science and occupational therapy. Transactionalism, in contrast, more readily lends itself to behavioural applications, and together with its emphasis on interpenetration and co‐constitution, offers greater opportunity for the continued theorization of the complexity of occupation.